Govardhana Puja, the worship of Govardhana Hill, is a tradition begun by Krishna Himself and is a magnificent festival always celebrated with great jubilation here at New Govardhana. 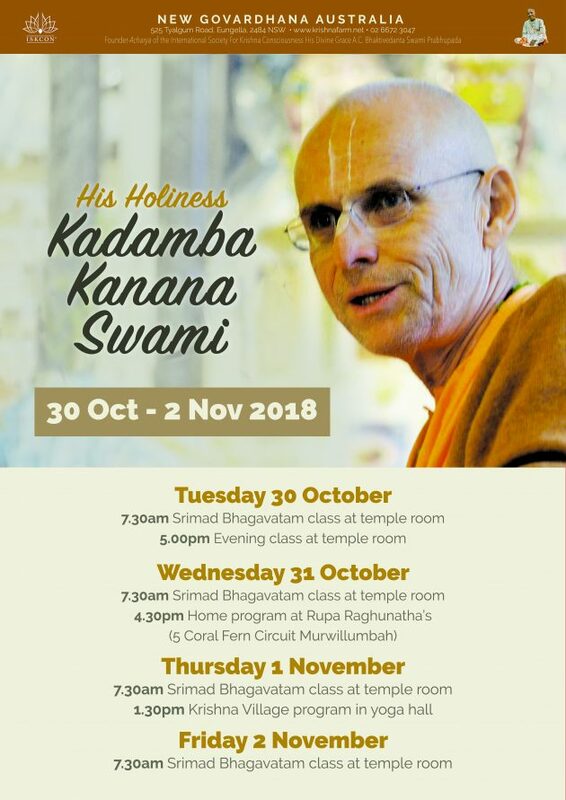 This year, Govardhana Puja falls on Thursday, 8 November. Traditionally, we celebrate it on the closest Sunday so the entire community can participate in this wonderful festival. 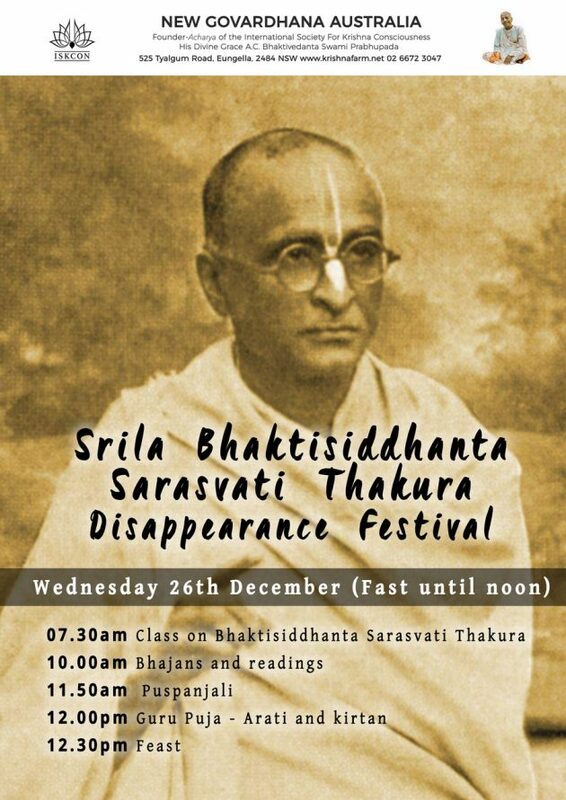 However, this year the Sunday before is Ekadasi and the following Sunday is Srila Prabhupada’s Disappearance Day. 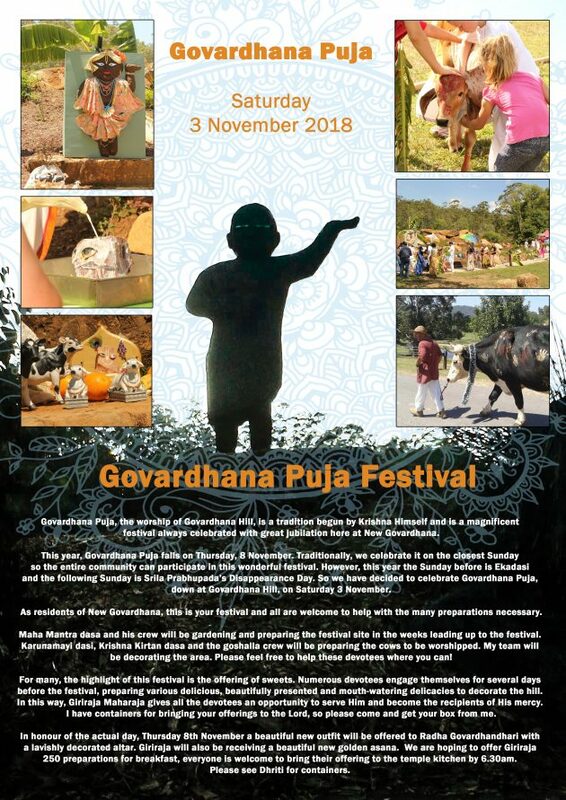 So we have decided to celebrate Govardhana Puja, down at Govardhana Hill, on Saturday 3 November. 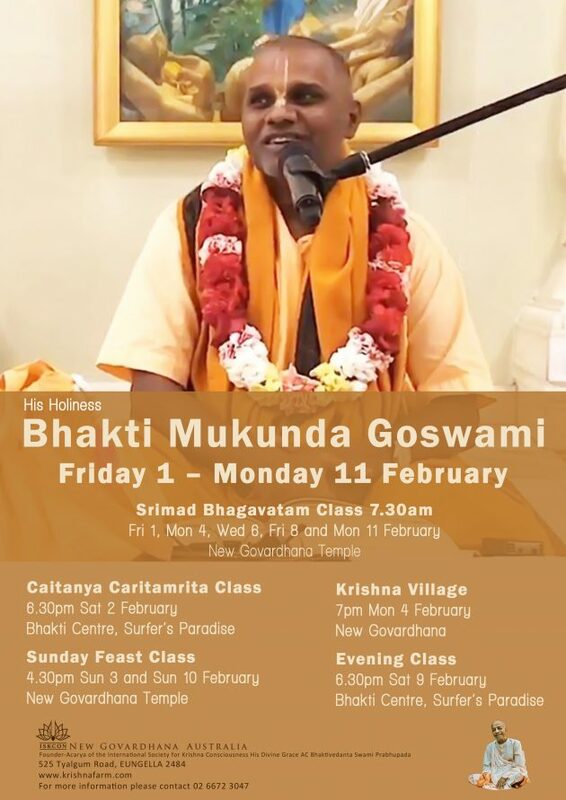 As residents of New Govardhana, this is your festival and all are welcome to help with the many preparations necessary. Maha Mantra dasa and his crew will be gardening and preparing the festival site in the weeks leading up to the festival. 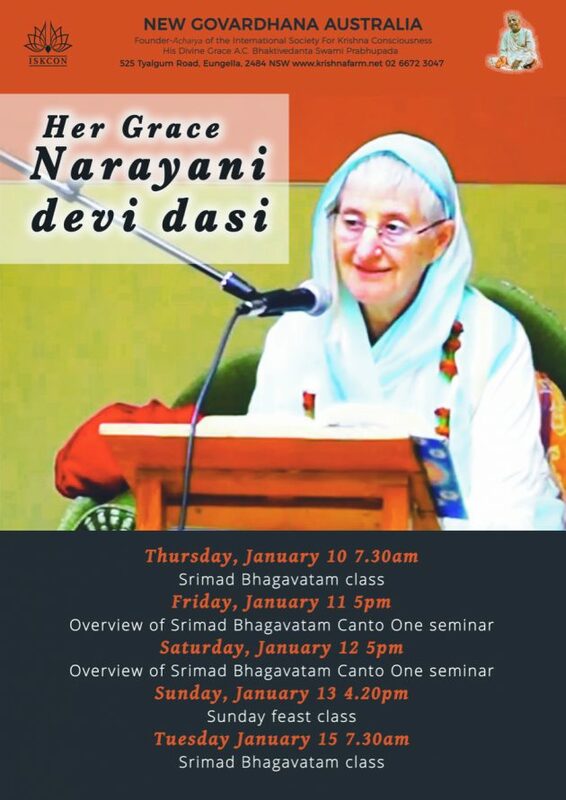 Karunamayi dasi, Krishna Kirtan dasa and the goshalla crew will be preparing the cows to be worshipped. My team will be decorating the area. 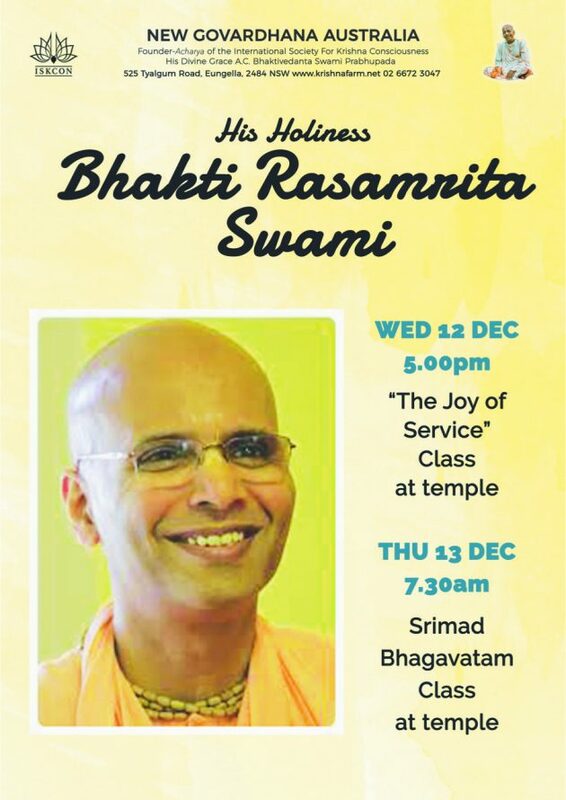 Please feel free to help these devotees where you can! For many, the highlight of this festival is the offering of sweets. 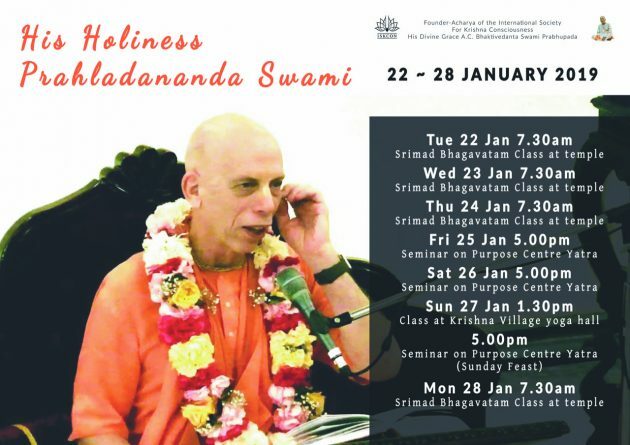 Numerous devotees engage themselves for several days before the festival, preparing various delicious, beautifully presented and mouth-watering delicacies to decorate the hill. In this way, Giriraja Maharaja gives all the devotees an opportunity to serve Him and become the recipients of His mercy. I have containers for bringing your offerings to the Lord, so please come and get your box from me. 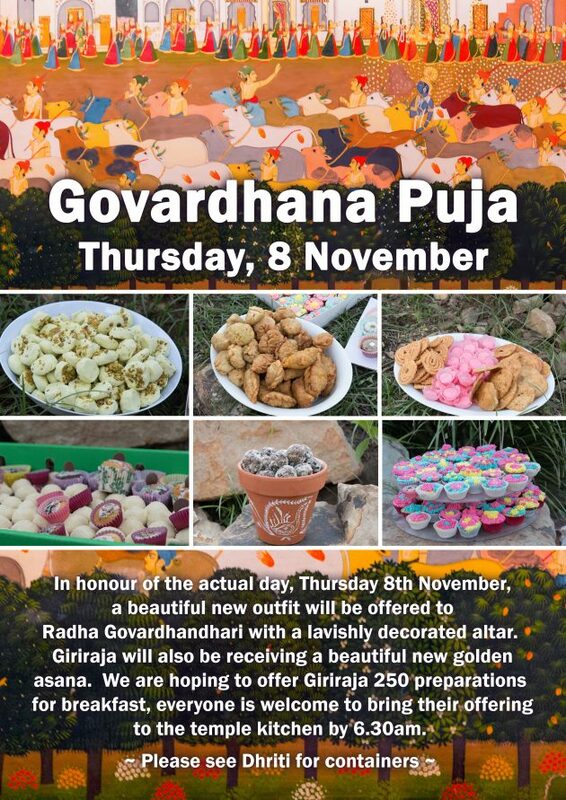 In honour of the actual day, Thursday 8th November a beautiful new outfit will be offered to Radha Govardhandhari with a lavishly decorated altar. 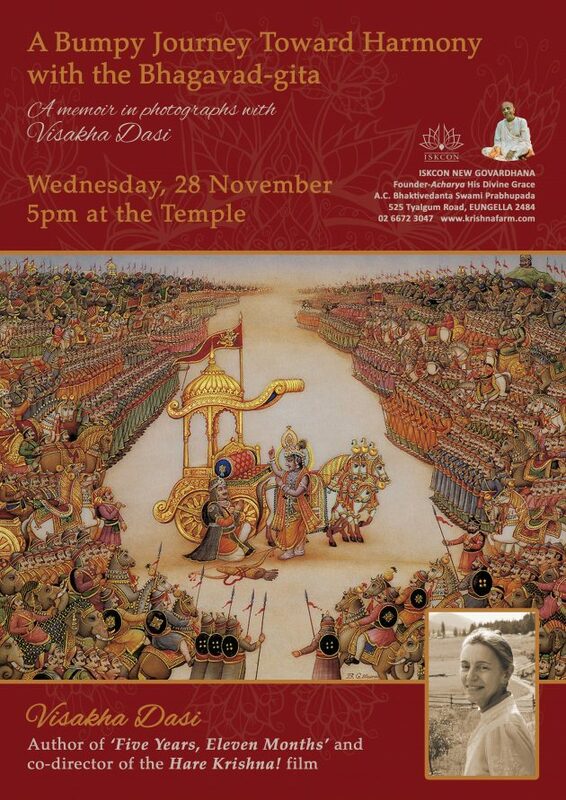 Giriraja will also be receiving a beautiful new golden asana. 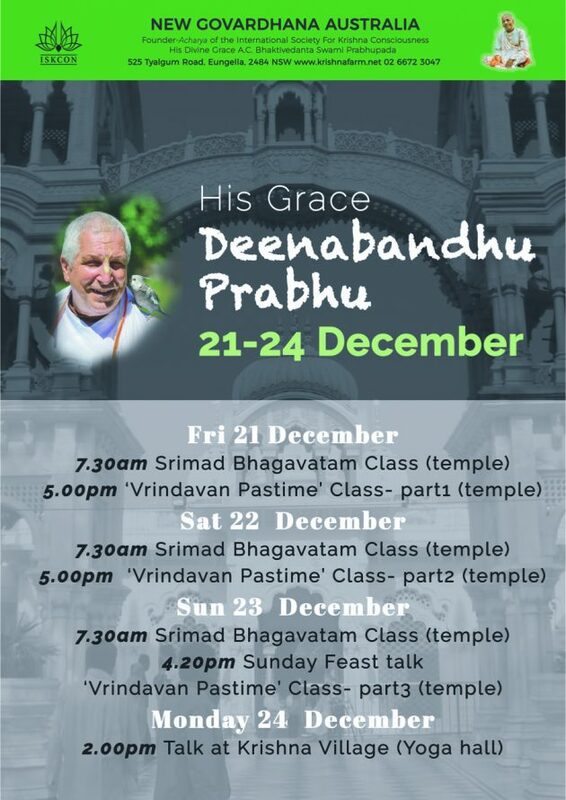 We are hoping to offer Giriraja 250 preparations for breakfast, everyone is welcome to bring their offering to the temple kitchen by 6.30am. Please see Dhriti for containers. 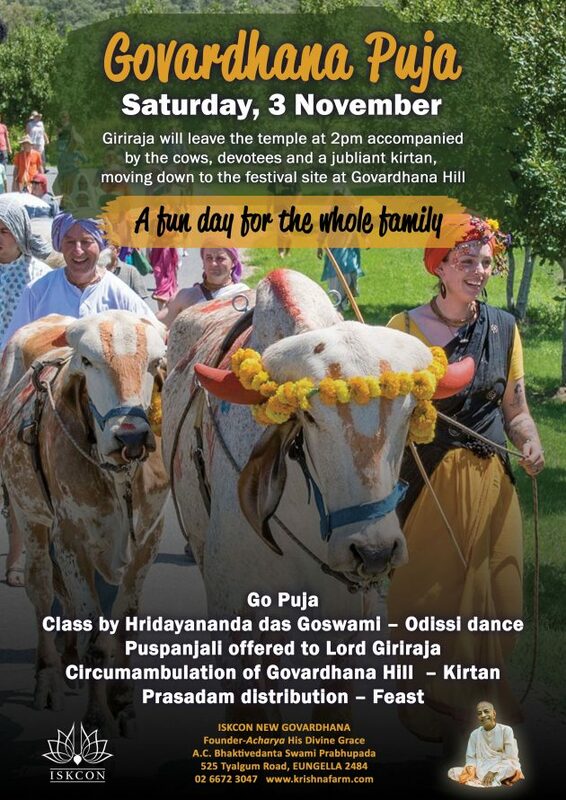 Giriraja will leave the temple at 2pm accompanied by the cows, devotees and a jubliant kirtan, moving down to the festival site at Govardhana Hill.